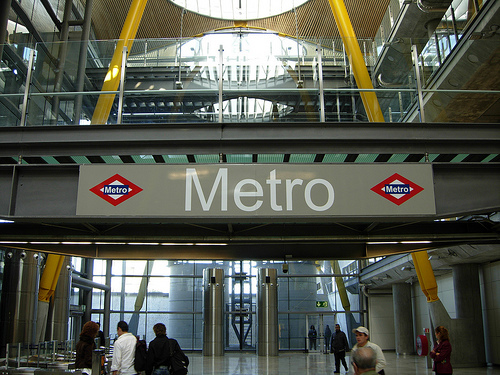 The Madrid Metro serves this city, being the sixth longest metro network in the world. This is impressive figure, considering the city’s population. The Metro is also one of the fastest growing rail networks on earth; there is a very large expansion project pending to lengthen a few of the lines. This system currently contains 12 lines with 231 stations, taking up 283 kilometers. About 92% of this network is located underground. The Madrid Metro stations have different structures on designs based on their age. The older stations tend to be more compact, while the newer ones are more spacious. The newer stations also have lots of natural lighting and larger entry ways. The Madrid Metro used to be confined to the city limits, but today extends into some outer suburban areas. 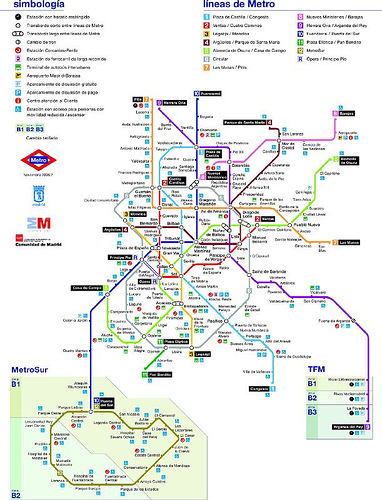 The Madrid Metro is easy to navigate. All of its lines are color-coded, and it is a rapid system where you will only wait for a few minutes for the next train to arrive, especially during peak hours. Its hours of operation are from 6:30 AM-1:30 AM. The stations also have easy self-service ticket machines. This metro system is divided into five regions. The MetroMadrid is within the Madrid city limits, with two thirds of the overall length. The remainder of the regions extend to some of the outer satellite cities and suburbs. The train frequency is much higher in the MetroMadrid area than in the outer regions. 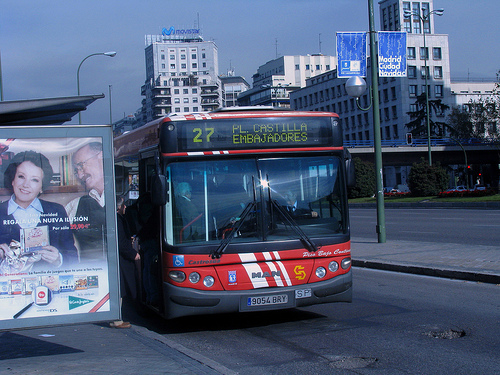 The bus system in Madrid is called the EMT Madrid. This network operates from 6:00 AM until 11:30 PM or midnight, depending on the line. Passengers can use the same tickets for the bus as for the metro. There are also night buses, the buhos, that operate on different lines until 5:00 AM. There are 170 day bus routes; most of the city buses are red. This network extends to all parts of the city and some suburban areas, and there are separate lanes for buses on many streets, which eliminates some traffic. Each line has a different number of buses that run on it, so waiting times are different for each line. Many of the buses are equipped with air conditioning and handicap access, though they do tend to get crowded. Commuters are not cut short of the public transit options in Madrid. The suburban rail system of this city are run by a different company, but are still useful and efficient. They run approximately every 15-30 minutes, from 6:00 AM-11:00 PM or midnight. There are 13 suburban rail lines, all of which pass through the Atocha Train Station.